This is such a satisfying and quick tea after a long day at work. 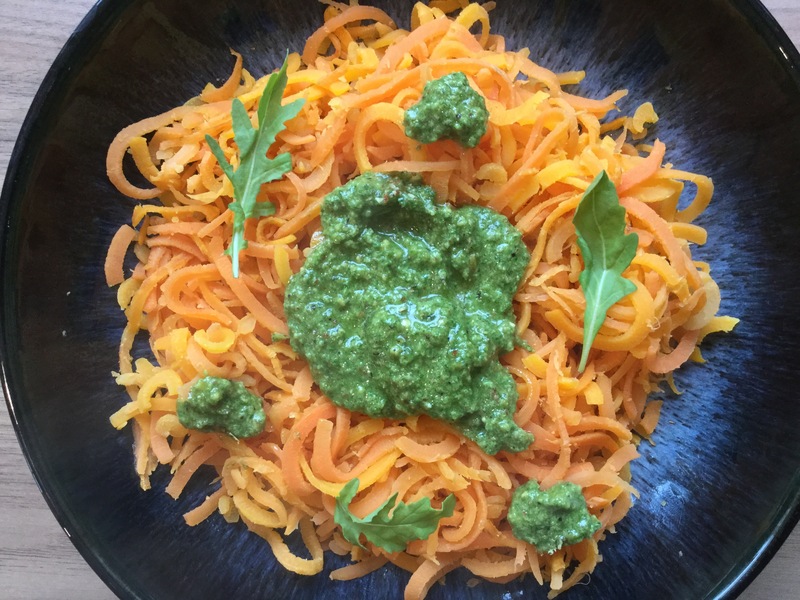 The warming earthy pesto compliments the sweet carrots nicely, and the bright colours really help after a day in the drab office! It serves one as a main meal or two as a light(ish) lunch. In a dry sauté pan lightly toast the almonds until the skins start to darken and they become aromatic. 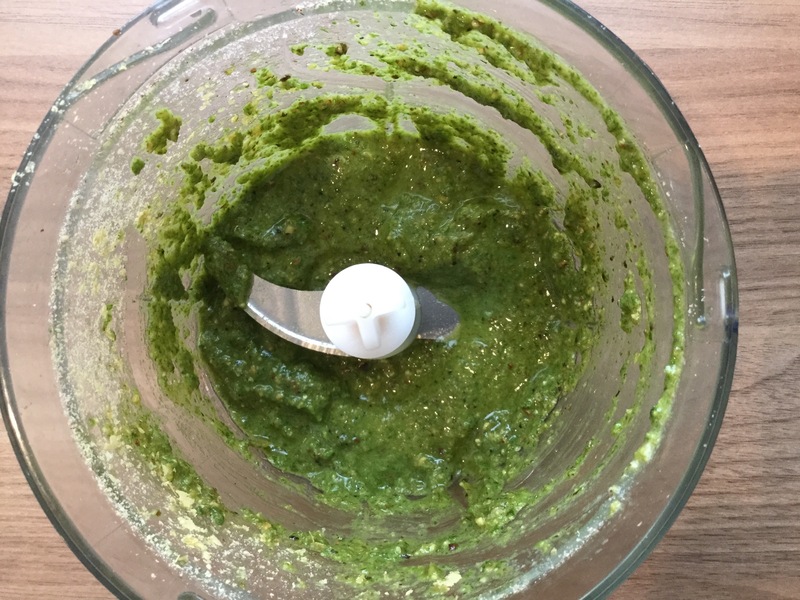 Transfer the almonds to a small food processor and add all the other ingredients except the carrots, blitz until smooth. 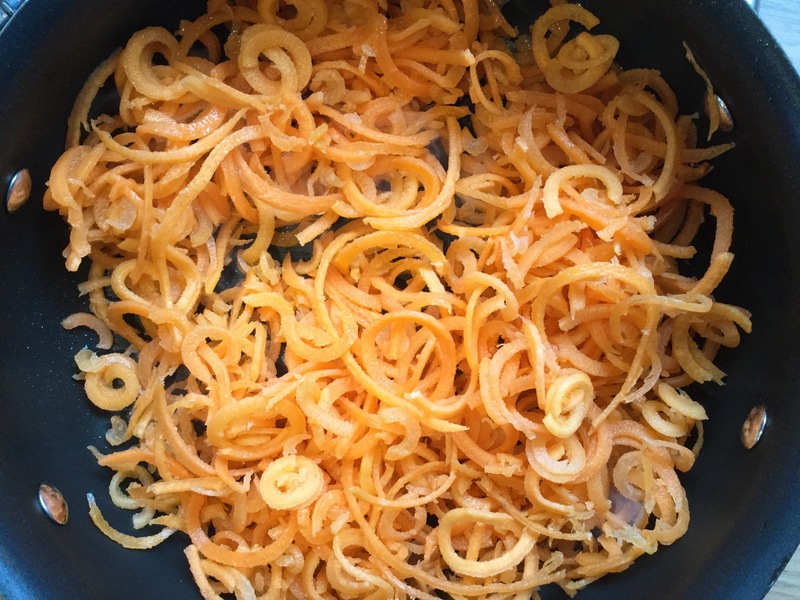 Prepare the carrots, I use my spiral cutter, but grating or julienne would work just as well, add into the dry sauté pan and cook until they are a texture to suit your taste, I cooked them for about 4 minutes so they still had a bit of bite but weren’t crunchy. Prettily dollop the pesto over the cooked carrots, I used about half of the pesto. That’s a great idea! Never would have thought to put carrots as noodles.